Less than 24 hours ago, Matt Cutts, the head of the spam team from Google, announced via Twitter that Google is rolling out the Panda 4.0 update starting today. Although many speculations regarding the rise of a possible Penguin 3.0 have been made, it’s about that time of the year when SEO news is a-buzz with one particularly cute animal: panda. Only it’s not our Chinese bear darling that’s occupying the minds of web experts, it’s the Google algorithm. However, all the Google updates speculations weren’t groundless. Just like the Penguin update from May 2013, Panda 4.0 was announced by strong fluctuations in the Google’s SERP. Short after, Matt Cutts also made the official announcement. In the last days, headlines were ranging from the mild “Are you ready?” or “Should you be worried?” to the more severe “How to avoid getting slaughtered by the new update”. Elsewhere on the web there were plenty of surfers taking bets on what the exact release date will be for the third installment. And as with everything else mysterious and powerful, there’s even people trying to predict the date according to more-or-less “sure-proof” algorithms. 1 Day / 2 Updates = Panda 4.0 + PayDay Loan 2.0? Which one are we talking about? you might ask yourself. The answer is quite simple: both! Both Panda and PayDay Loan have been updated and they are both on the roll. While Panda 4.0 is going after on page factors, the PayDay Loan “update” goes after “very spammy queries” and is unrelated to the Panda or Penguin algorithms. Panda 4.0 and PayDay Loan 2.0 – Why Would Google Need Them? As stated before, Google’s goal is to offer the best possible results, making the user’s experience as good as it can be. Right now Google’s engineer team looks like a relentless, innovation oriented squad, that’s created the right context for a new update that includes better features. If we want to be prepared for the future, we must first understand what happened in the past. What did Matt Cutts say about how Panda affected (until now) the webmasters? If we take this statement at face value, we could say that Panda is focused on content. For the time being, we’ll have to speculate a bit. Therefore, Google might need a high-quality-content guardian. Should we conclude that the big search engine is not happy with the way content is used or abused by webmasters in the present? “Great content has to be the foundation of any good site”. This is what Matt Cutts told us 5 years ago and this is what he has kept on saying in the most recent months. The original PayDay Loan algorithm went after unique link schemes, many of which are violating Google’s guidelines for spammy queries such as “payday loan”, pornographic and other heavily spammed queries. Panda 4.0 – a Boost for Small Businesses? The question that is on everybody’s lips right now is: what is the big change that Panda 4.0 brings? Will Panda 4.0 be more like “Star wars – The Phantom Menace”, a flawed but game-changing reboot, or more like “Alien 4”, business as usual and not that exciting? Well, for one, it doesn’t look like it will necessarily stop at being the final sequel in the series. Being a very fresh topic, we can only assume what Panda 4.0 is being targeted at. I am pretty sure that in about a month or so we will see some real, palpable effects of the update. 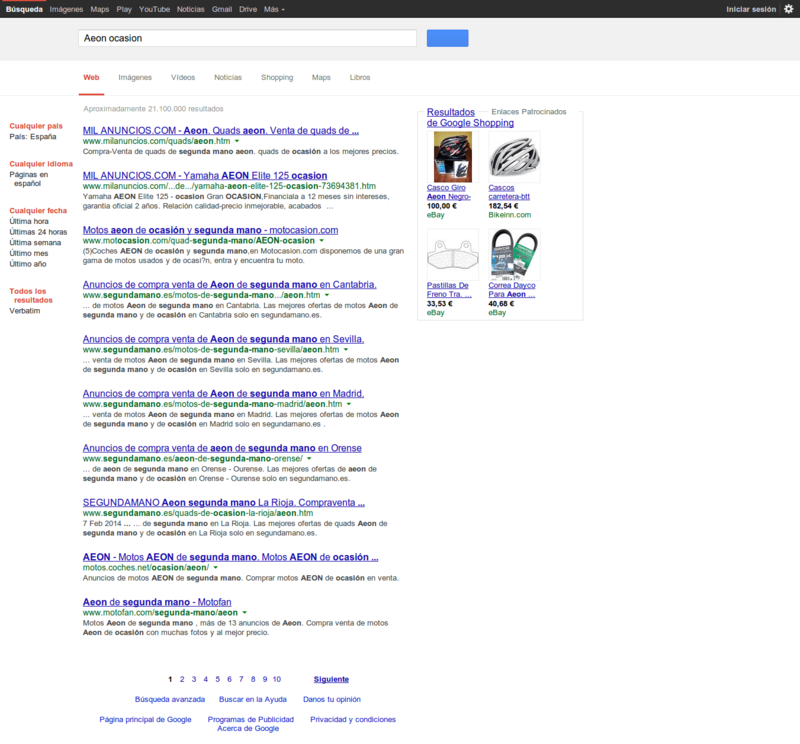 Until then, we can infer some changes based on the announcement made by Matt Cutts at the Search Marketing Expo. The head of the search spam team at Google stated at the conference that took place in March that they are working on a new generation of Panda. Matt Cutts explained to the audience that this new Panda update should have a positive impact on helping small businesses and small websites do better in Google search results. It is questionable whether benefits in ranking were really visible after this “softened” update, or if they were beneficial to the intended parties. We can only wait and see if this update will be really doing any good to the small businesses or if this is just wishful thinking. Along penalties, a common issue in World Wide Web is that the algorithm’s changes affects mostly local websites at the expense of national or international businesses. It’s never been easy to game the algorithm but nowadays, results don’t come cheap at all. Quite often, the battle isn’t between the most relevant sites but between the ones with larger pockets. It doesn’t matter if a small, local business has better prices and services. As long as it can’t be found on Google, it will probably not be accessed that much. As they don’t have a big budget to spend on advertising, they will focus on generating high quality content based on what their users searched to find their page. Even so, having just a few clues to tell them whether they’re getting it right, small businesses rarely win the battles with the big fish. Will Panda 4.0 give a helping hand to the small businesses, boosting them to the top of the rankings or will the first page of results still be dominated by “the big guys”? It’s best not to get ahead of ourselves, as we’re still not sure what impact the 4th Panda will have. Is your website ready for Panda 4.0 and PayDay Loan 2.0 or any Other Update? “There are many things you have to unlearn before you start learning”. Firstly you should be actively and constantly auditing your website in order to be aware of any search optimization issues. And having a clue about what Panda 4.0 and PayDay Loan 2.0 will target should pretty much be enough to get you on the right track. There’s a lot of things that you need to work on in order to remove things that will most likely hurt you: links from guest blogging networks, links from spam sites, exact match anchor links, optimized anchor links etc. You might have heard this before but a mindful webmaster should always pay attention to crawling. If you want to be sure that you will be properly indexed, you need to make sure that not only the first page but all the pages of a website are easy to crawl (at least the ones that you want to be crawled). Another architectural element that you should keep in mind is the speed. Saving seconds from the load time of your website could increase the rate of conversion and decrease the bounce rate. Also, your URL’s name might influence the overall impression of your website. 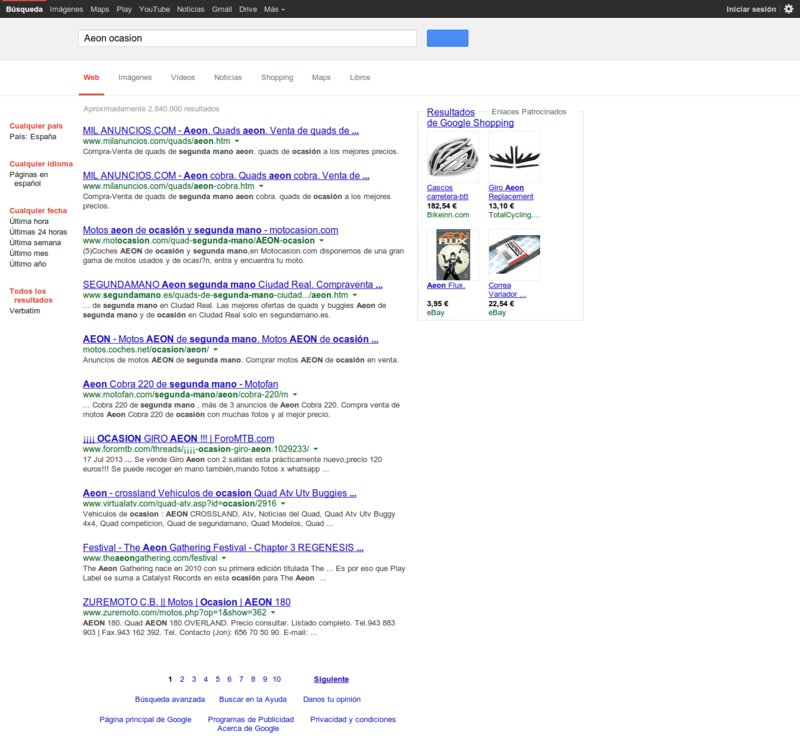 User’s first contact to your site is your site’s URL as seen in the SERP. There is a chance that if your URL’s name is more readable, it will be more likely to be clicked on. Also it is very important how you interlink all the pages on your site. It all has to make sense and be easy to crawl by the Google bot. One of the reasons Panda saw the light of the day in the first place was to watch over the quality of the content. Even so, easy-like-sunday-morning articles are still to be found in the wild. One should not write an article just for the sake of an editorial agenda but for the sake of meaningful ideas and interesting research that you’ve done or noticed. We won’t put our money on what Panda 4.0 is really about but we can say for sure that it all comes back to quality. You have to ask yourself: are you generating content for your audience or just to fill up some holes in your publishing schedule? You need to create content that will engage customers, content that will provide added value to them, responding to their needs and being as relevant as it gets. Google really made some interesting changes along the way in what concerns the understanding of a word meaning and in generating content on the strength of intent and not on the exact keyword match. Even so, the misuse of keywords is still very common and Panda 4.0 might have a real problem with it. Don’t create similar web pages just for the sake of optimizing some specific keywords. Make sure that every single page of your website stands on its own and optimize each of it keeping Google’s regulations on top of your mind. You can make use of the Google Keyword Planner in order to find the keywords that perform best and are the most suitable for your website and your business. You should focus on topics of interest to your audience, meaning not just fresh and hot topics but also interesting subjects for them. New content will not only tell your target that you are always vigilant but it will also bring benefits in terms of crawl frequency. Make your content “social”. Allow for Facebook, Twitter and Google+ sharing, or even make comments dependent on logging in with social network user profiles. Expand your social media mix: add YouTube, LinkedIn, Pinterest, and whatever else works for you. There are also things that you need to add or include (not just things to remove), in order to fully take advantage of the new Google algorithms. Since anchor-texts will matter less in the future, it’s time to embrace the idea that the best way to get the attention of search engines is to not write for the search engines, but for the users. Write content like you would like an article that you yourself would like to read on the subject. Have a first paragraph that clearly explains what the story is about. Use subheaders and a very easy-to-read structure. Go in-depth and add screenshots and diagrams, or even videos. It’s quite hard to draw conclusions just after the announcement of an update. What should you be aware of? What things should you stay away from? I think the best advice we could give remains to use your common sense. If you are building a natural, healthy and quality content that will help you get to the relevant audience and you are not trying any shady link scheme, than all these updates shouldn’t have a negative impact on your website. What are the biggest challenges that the new Google PayDay Loan 2.0 and Google Panda 4.0 Updates will bring?